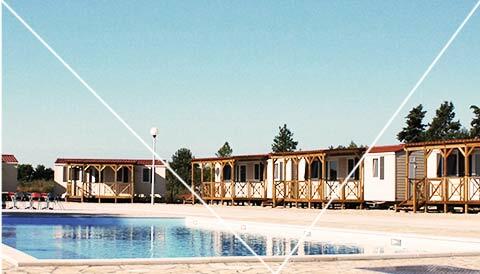 Camping Peros is a smaller camp with 60 spacious pitches and 20 new attractive mobile homes with direct access to the swimming pools. 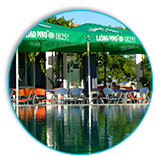 For those who like to enjoy in simple food, bar and pizzeria in camping are good choice. 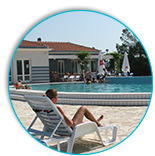 Baeches in Zaton just few hundred meters from camping are ideal for families and children. 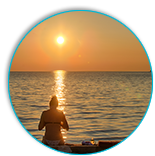 On your request, we organize trips to the National Parks and we offer you a possibility to rent a boats and yacht. 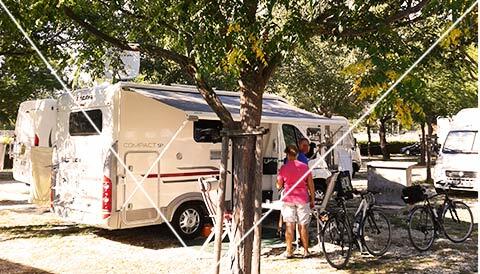 On your request, we offer rental motorhomes in Camping Peros. 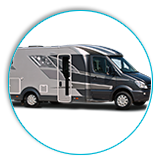 Our motorhome is in excellent condition and are always ready to travel all across the World. 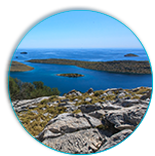 On your request, we organize trips to the National Parks and we offer you a possibility to rent a boats ana yacht. Zaton dates back to the 17th century when the parish church, dedicated to the birth of the Blessed Virgin Mary was built. Simbol of Zaton is St. Nicolas church from the end of the 11th century. Our on-site shop accessories for camping and motorhomes from Germany. Now You can buy in Camping Peros or order on-line any accessories and spare parts for camping, caravans, motorhomes, products for auto travelers: auto-refrigerators, awnings, air conditioners, camping furniture and more.